I get this when I try to build MyApp. Building for the second target gives the same error (with SecondTarget-Info.plist in the warning). I'm not sure why it's a warning, since I want the build to contain that .plist file. Each of the .plist files have one target membership (for their own build). What does this warning mean? Is there any way to make it go away? I'm trying to use Grunt as a build tool for my webapp. The question is, how can I make grunt make these index.html's depending on the configuration when I run grunt dev or grunt prod? Or maybe I'm digging in the wrong direction and it would be easier to always generate MyApp-all.min.js but put inside it either all my scripts (concatenated) or a loader script that asynchronously loads those scripts from separate files? How do you do it, guys? Xcode 3.2 provides an awesome new feature under the Build menu, "Build and Archive" which generates an .ipa file suitable for Ad Hoc distribution. You can also open the Organizer, go to "Archived Applications," and "Submit Application to iTunesConnect." Is there a way to use "Build and Archive" from the command line (as part of a build script)? I'd assume that xcodebuild would be involved somehow, but the man page doesn't seem to say anything about this. UPDATE Michael Grinich requested clarification; here's what exactly you can't do with command-line builds, features you can ONLY do with Xcode's Organizer after you "Build and Archive." You can click "Share Application..." to share your IPA with beta testers. As Guillaume points out below, due to some Xcode magic, this IPA file does not require a separately distributed .mobileprovision file that beta testers need to install; that's magical. No command-line script can do it. For example, Arrix's script (submitted May 1) does not meet that requirement. More importantly, after you've beta tested a build, you can click "Submit Application to iTunes Connect" to submit that EXACT same build to Apple, the very binary you tested, without rebuilding it. That's impossible from the command line, because signing the app is part of the build process; you can sign bits for Ad Hoc beta testing OR you can sign them for submission to the App Store, but not both. No IPA built on the command-line can be beta tested on phones and then submitted directly to Apple. I'd love for someone to come along and prove me wrong: both of these features work great in the Xcode GUI and cannot be replicated from the command line. Xcode warning: "Multiple build commands for output file"
But I have checked Xcode and I don't see any duplicates of such files at all. As this post in the Apple Mailing Lists say, there are no duplicates. What does the Visual Studio "Any CPU" target mean? I have some confusion related to the .NET platform build options in Visual Studio 2008. What is the "Any CPU" compilation target, and what sort of files does it generate? I examined the output executable of this "Any CPU" build and found that they are (who would not see that coming!) the x86 executables. So, is there any the difference between targeting executable to x86 vs "Any CPU"? Another thing that I noticed, is that managed C++ projects do not have this platform as an option. Why is that? Does that mean that my suspicion about "Any CPU" executables being plain 32-bit ones is right? But, when I try to enclose it into the "pluginManagement" tag, the maven-dependency-plugin stops to work when I launch the install goal. Why the "pluginManagement" tag change the build behavior ? Or should I use another goal or option ? I struggled finding a how-to which provides a stable solution for using Qt with Visual Studio 2010, so after collecting all the bits of information and some trial and error, I would like to write my solution into a guide. The problem, or why is it not possible to use prebuilt binaries? The most important thing (that I stupidly didn’t realize) was the fact that you CANNOT use the Visual Studio 2008 compiled libraries and dll’s (available on the Qt webpage) if you don’t have Visual Studio 2008 installed. The reason is because the Qt SDK you download is a debug build which is dependant on the VC9.0 DebugCRT, meaning it needs the Visual C++ 2008 Debug Runtime installed, which is NOT available as a redistributable installer. The only way to install the DebugCRT is to install the entirety of Visual Studio 2008. How and why do I set up a C# build machine? What kind of tools/licenses will I need? Right now, we use Visual Studio and Smart Assembly to build, and Perforce for source control. Will I need something else, or is there an equivalent of a cron job for running automated scripts? What, exactly, will this get me, other than an indication of a broken build? Should I set up test projects in this solution (sln file) that will be run by these scripts, so I can have particular functions tested? We have, at the moment, two such tests, because we haven't had the time (or frankly, the experience) to make good unit tests. What kind of hardware will I need for this? Once a build has been finished and tested, is it a common practice to put that build up on an ftp site or have some other way for internal access? The idea is that this machine makes the build, and we all go to it, but can make debug builds if we have to. How often should we make this kind of build? How is space managed? If we make nightly builds, should we keep around all the old builds, or start to ditch them after about a week or so? Is there anything else I'm not seeing here? I realize that this is a very large topic, and I'm just starting out. I couldn't find a duplicate of this question here, and if there's a book out there I should just get, please let me know. EDIT: I finally got it to work! Hudson is completely fantastic, and FxCop is showing that some features we thought were implemented were actually incomplete. We also had to change the installer type from Old-And-Busted vdproj to New Hotness WiX. Basically, for those who are paying attention, if you can run your build from the command line, then you can put it into hudson. Making the build run from the command line via MSBuild is a useful exercise in itself, because it forces your tools to be current. I've been using using F5 (Start Debugging) for years to build the code (if its out of date), and then debug. This was working on VS 2010 also, however today it just start debugging without a build. Say I do a clean on the project, and then hit F5 instead of building it so it can run it throws an error message saying that the exe doesn't exist to run. How do I make it build first? What could have changed? The last time I used Android Studio, it generated .gradle files with mavencentral() buildscript repositories whereas now there's jcenter(). Could anyone explain the issues connected with this. 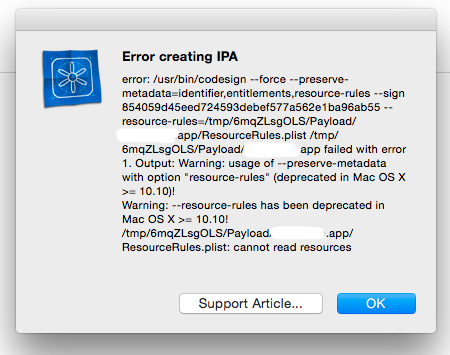 Are there any other repos? When should we switch them? What impact do they have on projects, modules, libs? Any other essentials for Android developers? Who's responsible for maintaining those repos? There are quite a number of tools available, and ant (the build system we're using) has a task that will maintain a build number, but it's not clear how to manage this with multiple, concurrent developers using CVS, svn, or similar. If you are using ant as your build system, the following task description can help produce a Java .properties file capturing build information, which can then be folded into your build in a number of ways. [We expanded on this idea to include hudson-derived information, thanks marty-lamb]. Ant and maven (and hudson and cruise control) provide easy means for getting build numbers into a .properties file, or into a .txt/.html file. Is this "safe" enough to keep it from being tampered with intentionally or accidentally? Is it better to compile it into a "versioning" class at build time? Assertion: Build numbering should be defined/enacted in a continuous integration system like hudson. [Thanks to marcelo-morales] We have taken this suggestion, but it does crack open the release engineering question: How does a release happen? Are there multiple buildnumbers in a release? Is there a meaningful relationship between buildnumbers from differing releases? Question: Is there a place for build numbers in manual builds? Is this so problematic that EVERYONE should be using a CI solution? Question: Should a build number be short and sweet (i.e., monotonically increasing integer) so that it's easy to stick into file names for archival, easy to refer to in communication, etc... or should it be long and full of usernames, datestamps, machine names, etc? [EDIT 23 Oct 09] I accepted the top-voted answer because I think it's a reasonable solution, while several of the other answers also include good ideas. If someone wants to take a crack at synthesizing some of these with marty-lamb's, I'll consider accepting a different one. The only concern I have with marty-lamb's is that it doesn't produce a reliably serialized build number -- it depends on a local clock at the builder's system to provide unambiguous build numbers, which isn't great. We now include a class like the below. This allows the version numbers to be compiled into the final executable. Different forms of the version info are emitted in logging data, long-term archived output products, and used to trace our (sometimes years-later) analysis of output products to a specific build. // SVN should fill this out with the latest tag when it's checked out. /** Answers a formatter String descriptor for the app version. Leave comments if this deserves to become a wiki discussion. I have an iOS project using CocoaPods. Everything was working smoothly until another developer started to work on the same project. He made some changes (only to code as far as I know) and made a new branch in the repo. I have checked out his branch and tried to build it, but I am getting an error: ASLogger/ASLogger.h file not found. Even if I delete the whole project and make a fresh copy and use 'pods install .' the build failure is still there. Do you have any idea where the problem can be? If you need some more infos, just ask. The 'Support Article' has no idea what is going on. It does not seem to be a TestFlight problem because the same thing happens in a CI environment like Jenkins using the xcrun or similar tools. The app wasn't updated for months, so I know that I shouldn't be expecting for any updates to fix this anytime soon. It used to work really well for me and my clients so I'm not really keen on abandoning it for something else either. Any ideas for what this error is about, and how to fix it would be very appreciated. I'm confused, what am I missing please? I have a proprietary jar that I want to add to my pom as a dependency. But I don't want to add it to a repository. The reason is that I want my usual maven commands such as mvn compile, etc, to work out of the box. (Without demanding from the developers a to add it to some repository by themselves). I want the jar to be in a 3rdparty lib in source control, and link to it by relative path from the pom.xml file.